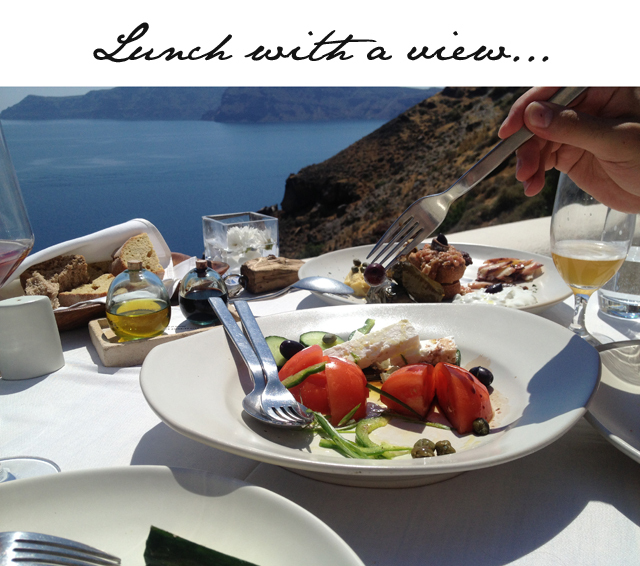 There is a scent in the air in Greece sweeter than anything I've ever experienced. It's as if the residents gathered together one afternoon and said, "let's give tourists a scent to remember." 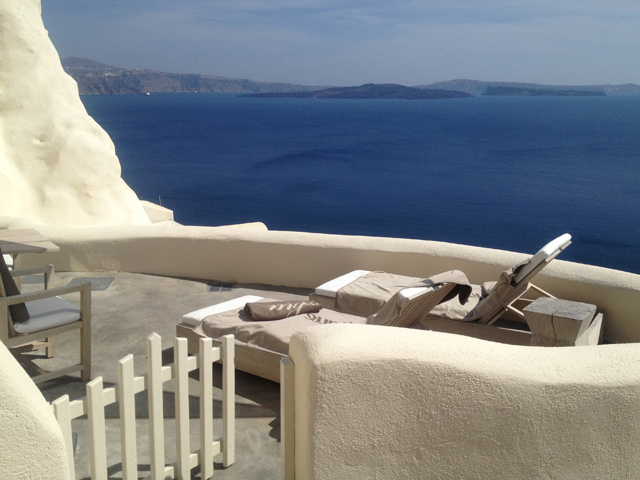 The reality is of course that this is the natural scent of the Greek Islands. This is the smell of paradise. 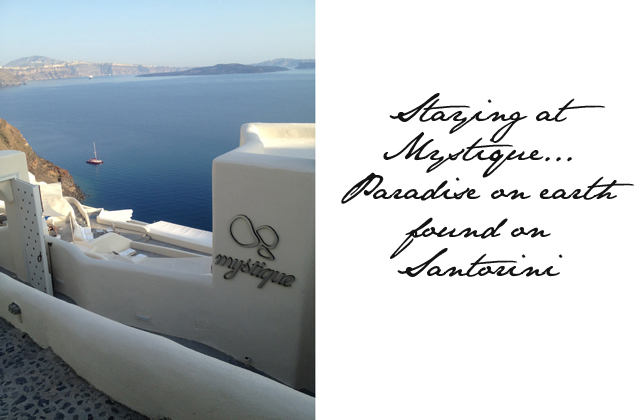 I'd heard people speak about it before, however it wasn't until I took my first steps out of the plane onto the island of Santorini that I realised this wasn't an urban legend at all, but rather a luscious reality. 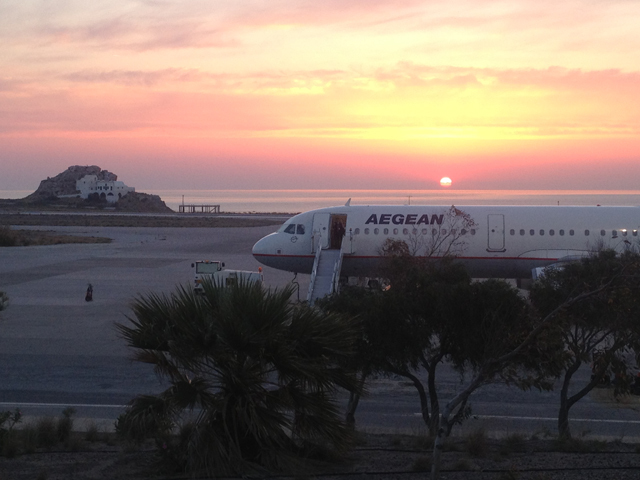 Our flight arrived on the Greek Island of Santorini at 6:15am. 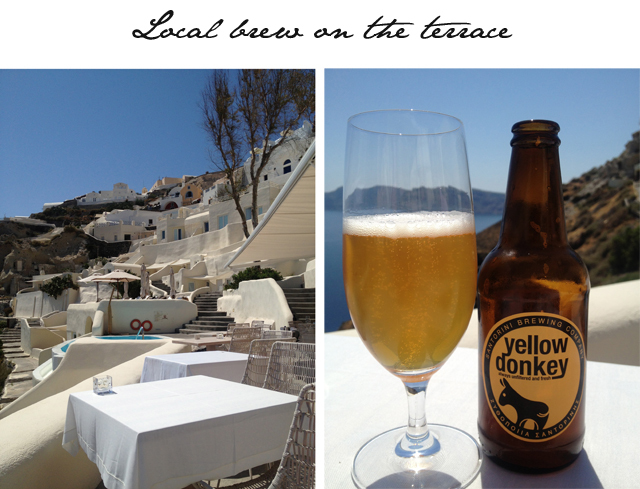 We'd flown overnight from London, with a stopover in Athens. To say we were exhausted would be an understatement. That being said, arriving on the island was like drinking ten espressos all at one time. As we walked into the airport the sun was rising over the tarmac and all our senses were engaged. We were instantly wide awake and ready to discover the beauty that was laid out before us. 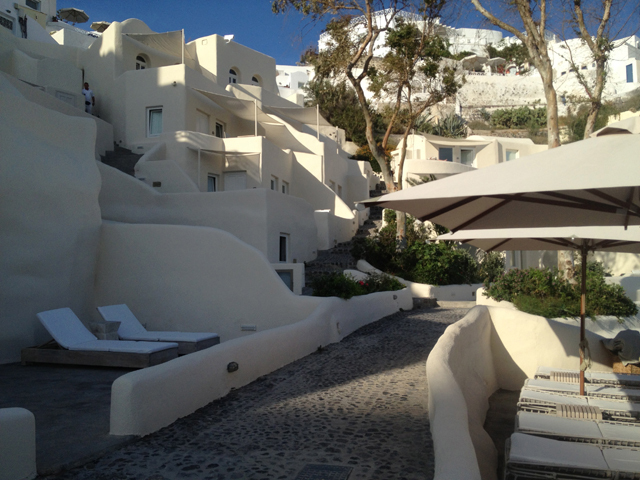 Our destination was Mystique, a Starwood Hotel, located in the town of Oia. Mr. FFG and I were headed to the hotel to help Starwood celebrate the release of their 2013 Members' Favourites list, which of course features Mystique. 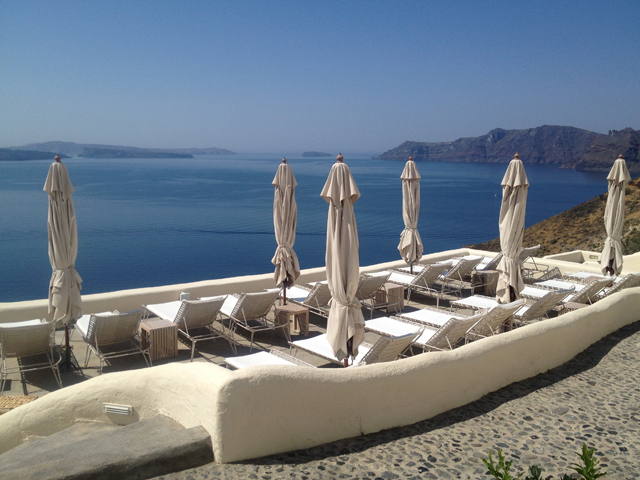 We'd seen pictures of the hotel that was built into the cilffs of the island and laid claim to one of the most spectacular views to be found in the area. Even investigating our destination couldn't prepare us for what we would encounter. The hotel has a shuttle service that runs from the airport regularly and as we exited airport arrivals, sure enough there was a man there with a name board and a friendly smile to greet us. 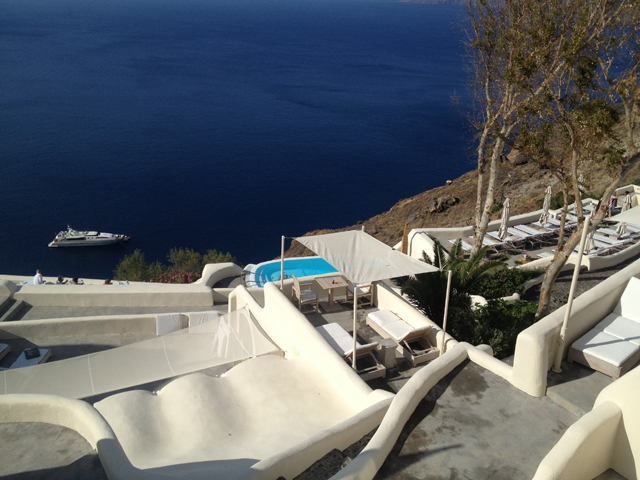 At 6:45am we arrived at Mystique, Santorini. We walked down the rocky stairs and arrived in reception where we were given fresh juice and sympathetic smiles. I think the receptionist could tell we were enthusiastic but also ready to collapse. Thank goodness they had a room ready for us. One of the staff insisted on carrying our bags down to the suite and after he departed we did a tiny, "oh my God" to each other as we took in our surroundings. 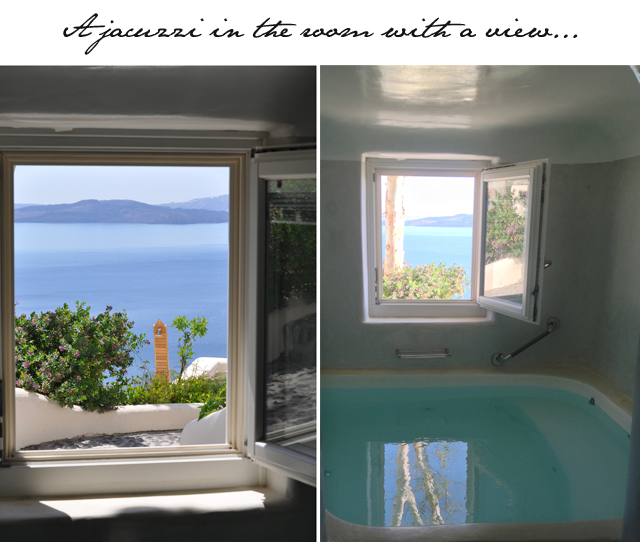 We were staying in the Allure Suite, a suite famous for its jacuzzi with an amazing view. 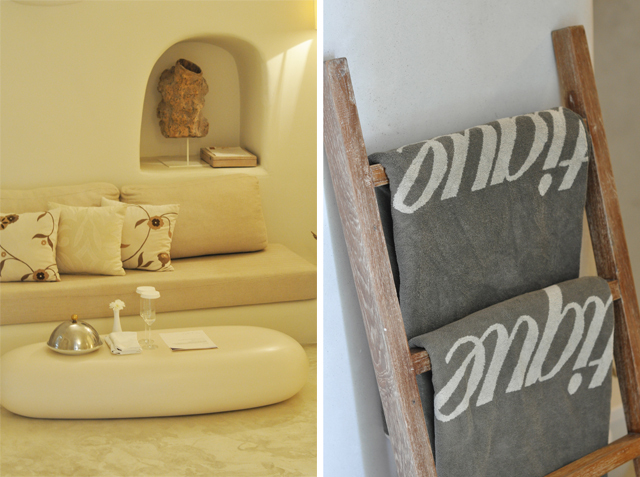 The suite itself was simple and wonderfully reflective of the surroundings. 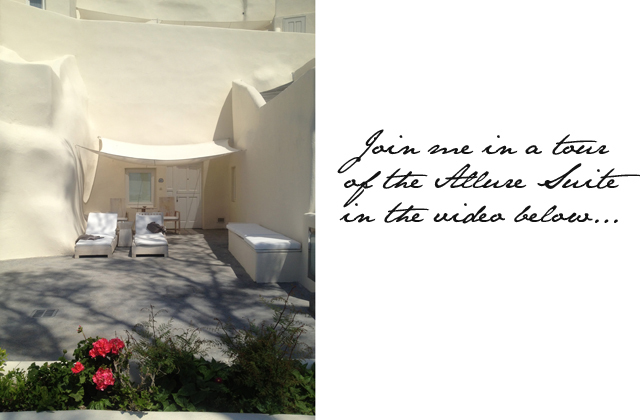 The furnishings were natural and allowed for the view to steal all the limelight. And the view... oh, the view. Rather than immediately taking a nap to recover from a full night of flying, we sat outside on our patio in sun loungers with our jaws firmly on the floor. Surely we had left earth for the weekend and somehow arrived in some parallel paradise. At around 7:45am we crashed and burned. We were out for three hours flat and a false alarm with the time had us up and about ahead of schedule, but with just enough time to catch a full day of sun by the pool at Mystique, which was footsteps from our front door. 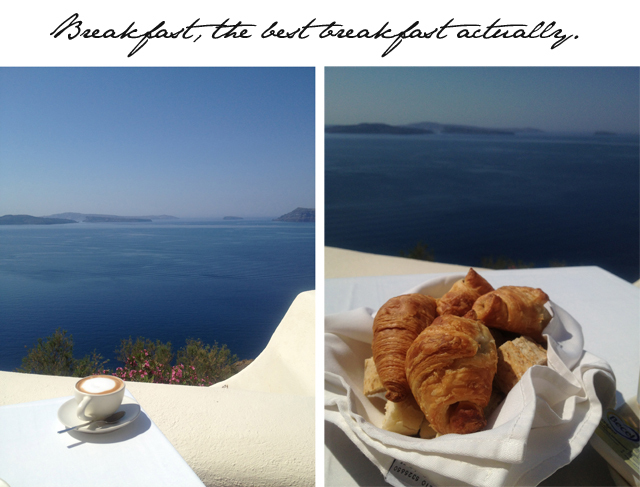 In order to prepare for a full day of sun we sat for a luxurious breakfast overlooking the cliffs of Santorini. Warm chocolate croissants, fresh coffee and a fluffy omelet were the perfect start to the day. Even now, as I look back, I can still taste the first bite of the lovely pastries. I think that's a moment that will stay with me for some time. Sitting there with the sea laid out before me, birds chirping in the distance and a light breeze carrying the salty sweet air, it was hard to understand how I had even arrived at such a location. From here, our trip becomes what one might expect from such a location. We were lazy, gluttonous individuals. Getting up for another drink seemed like the biggest chore of the day, so thank God we never had to. The staff at the Mystique are, well let's just say, absolutely incredible. They seemed to know what we needed before we ourselves did. I imagine no task would be too small or too big for these folks. It's customer service at its best. At night we did venture outside the hotel, after enjoying an aperitif by the pool. Each night we made our way into Oia where we walked through the streets with tourists and locals, who all gathered every evening to watch the sunset from two main locations. It was a sight to be seen. Hundreds of people are deathly quiet as they watch oranges, purples, and pinks fill the sky as the sun leans in to kiss the sea. Then as the last of the day washes away, the crowd claps as if to thank the sun for giving us all such wonderful tans on that particular day (or at least in my head that's why I was clapping). After the sun sets, the crowds disperse and fill local bars and cafes as the heat turns into a lovely cool night air. As I write this, I am sitting in my office in London trying hard to believe it wasn't all just a dream. It's hard to believe a location as beautiful as this is real and exists here on earth. We did have a chance to walk around a lot of that section of the island and it seemed as if, by a long shot, we were staying at the best hotel in the area. 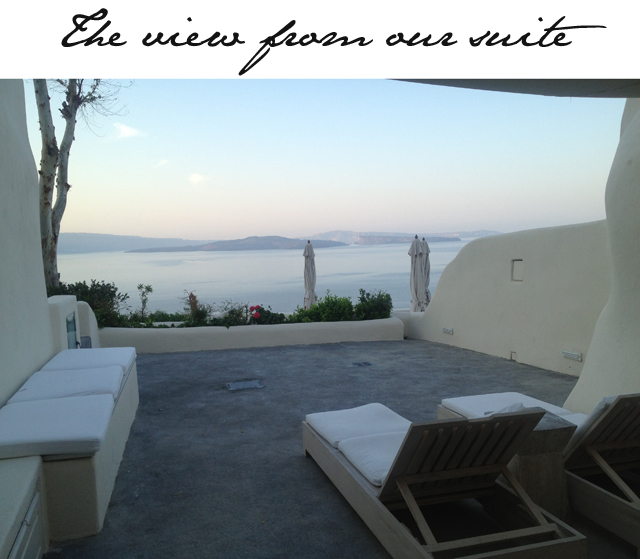 Whether it was the customer service, the amazing suite or the breathtaking view, this hotel had it all and gets five stars from this guest.